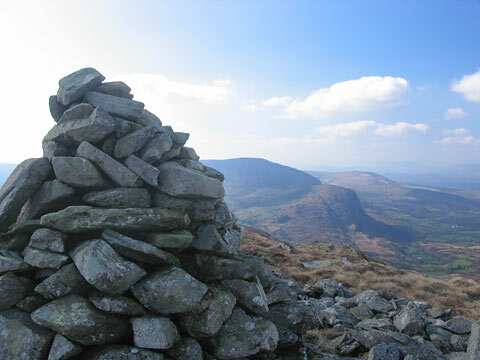 There is a substantial cairn on the summit which gives the hill its name. Carran is the 274th highest place in Ireland. There is no direct approach to Carran. 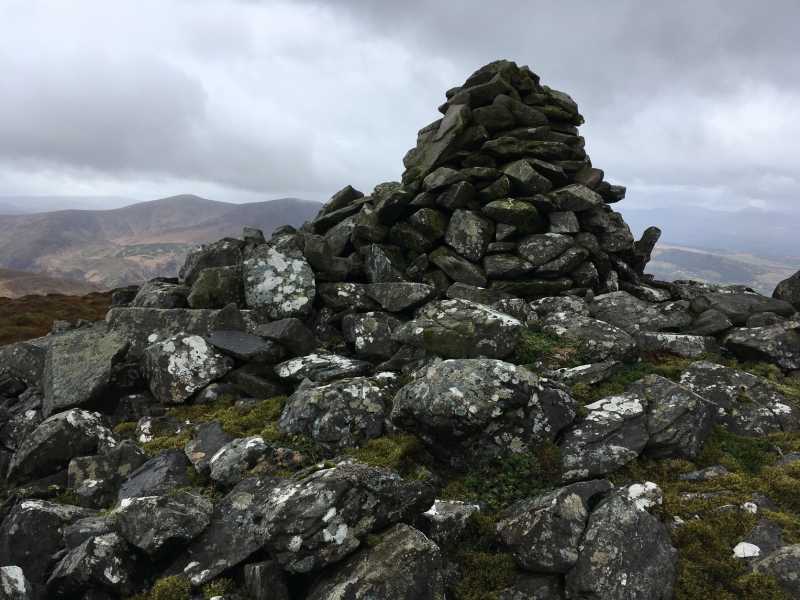 The options include taking in all 4 Carran summits from the west parking near a farmyard at the end of a yellow road W039 689 A and follow a track from W043 689 B to Carran far North top initially followed by Carran far NE top Carran NE top before arriving at Carran itself. If you are approaching from the west (road south of Knockanuha) please do not park on the corner at W04199 68795 K (junction of road and track), the farmer(who likes walkers) has told me that people park there and delivery trucks can't get up the road and on occasion he's had to follow walkers up the mountain to get the keys to move their car: please park in the farm yard of the first little cottage. At just over the 600m mark Carran has good views of Knockboy and the fine ridge that extends north from there, through the Knocknamanaghs and Gullaba Hill. 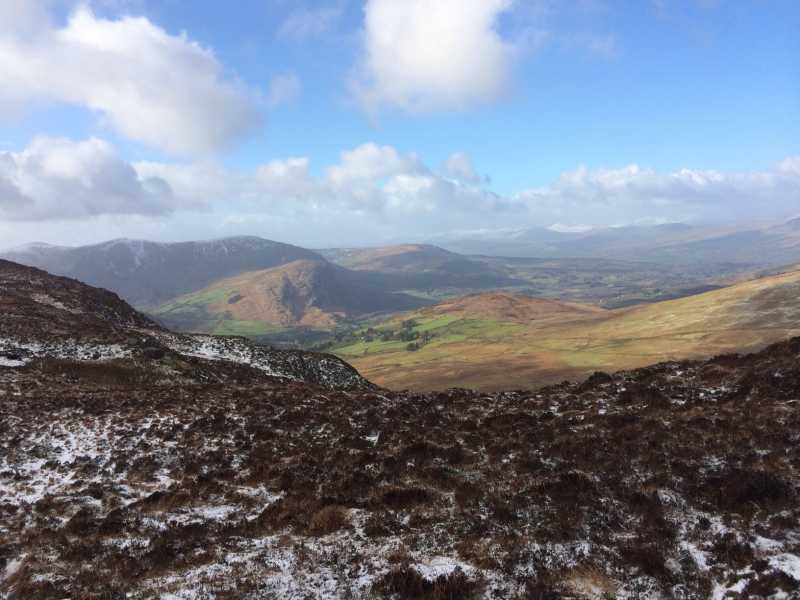 Carran itself has a gently descending ridge extending North-East through Carran NE Top which has prevented it from having the customary NE Coum so prevalent on summits in Ireland. However there is some steepening immediately north of Carran at some cliffs called Foilduff.